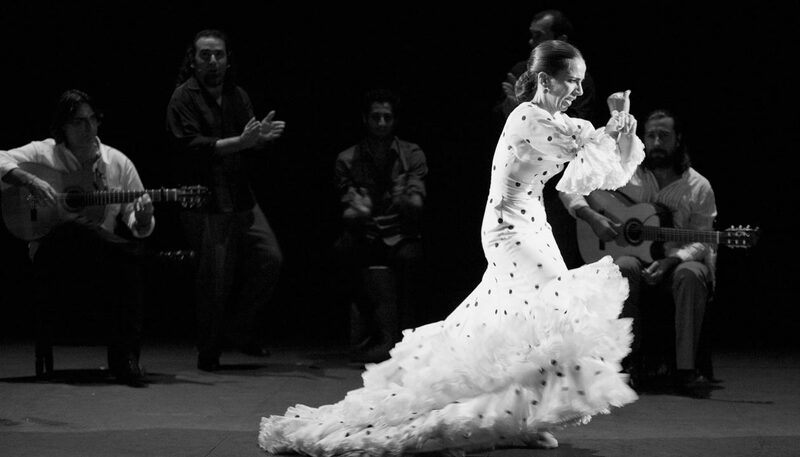 GIRALDILLO DANCE AWARD IN THE XVI BIENAL DE FLAMENCO DE SEVILLA. Isabel Bayón knows that the language of dance is one universal language when creators and interpreters share the same emotion: the need to express and to transform the intangible art in a build of experiences, the movement will lead to a fragment of life where the viewer will be moved. So this time, the dancer seeks the excitement and beauty coming from the view of other creators; she allows her versatile body to be choreographed by three different choreographers, Fernando Romero, Florencio Campos and Ruben Olmo. Each one starts off with the same premise, the sonnet of Miguel Hernandez “Por tu pie” meaning, by your foot, “The most danceable white …” each of them with complete artistic freedom, In The Mold of Their Shoes is a kaleidoscope of different sensitivities benefited from the plurality of each of their approaches, this is the challenge of a performer unafraid to venture into new territories. The work that Bayón unfolds in this show is distinctly sentimental, the Seville dancer creates a warm tribute to her teachers, whose shoes she learned from and also put on at some point in her path, of which there are references of these teachers that are indisputable to her dance, she shows her gratitude for these intimate encounters. This is not only about opening up to other levels and reviewing the legacy of her masters, the work is also the story of a statement, Bayon deepens and opens to new universes to emerge from this experience and to gain greater security, to show the public, in a thrilling final confession, how she is and how she understands dance. The previous steps have given her maturity, made her acutely aware of herself, and now she is prepared to strongly dance In The Mold of Her Shoes, ready to dance the future in full control with her own capability ingenuity.